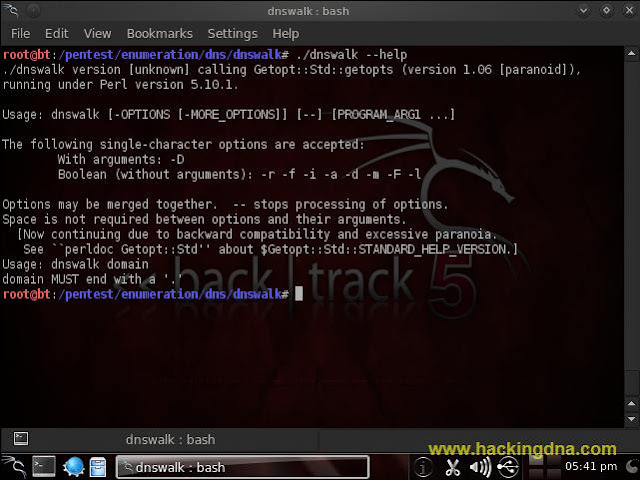 dnswalk is a DNS debugger. It performs zone transfers of specified domains, and checks the database in numerous ways for internal consistency, as well as for correctness according to accepted practices with the Domain Name System. 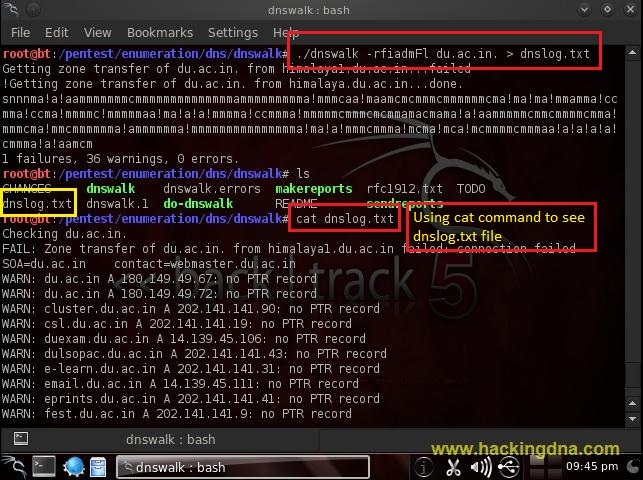 You can specify a forward domain, such as dnswalk pop.psu.edu. 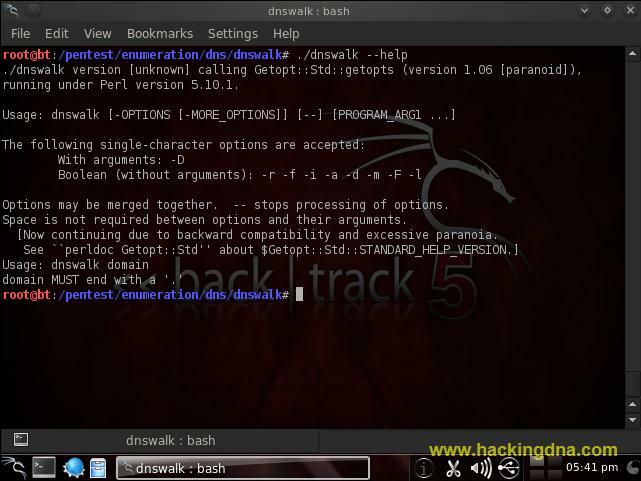 or a reverse domain, such as dnswalk 155.118.128.in-addr.arpa. What is Zone Transfer ? A Zone Transfer is the term used to refer to the process by which the contents of a DNS Zone file are copied from a primary DNS server to a secondary DNS server. Recursively descend sub-domains of the specified domain. Use with care. Print debugging and 'status' information to stderr. (Use only if redirecting stdout) See DIAGNOSTICS section. Perform checks only if the zone has been modified since the previous run. Perform "lame delegation" checking. For every NS record, check to see that the listed host is indeed returning authoritative answers for this domain. Use dir as the directory to use for saved zone transfer files. Default is '.'. Target Website -> listpk.com | Website Zone Transfer is enabled . See what happen when ZONE TRANSFER is enabled . The attempt FAILED and REFUSED by the server because by default these days zone transfers are set to disabled unless and until the admin enables it. Suppress check for invalid characters in a domain name. This option perform "fascist" checking. When checking an A record, compare the PTR name for each IP address with the forward name and report mismatches. (see below) . Save the result in dnslog.txt file . 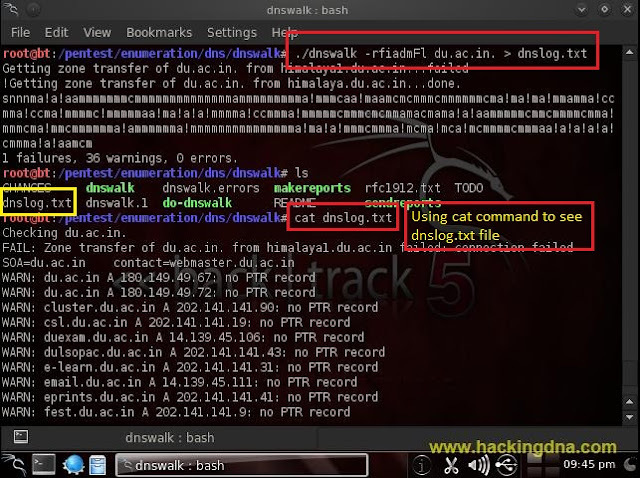 ITS A GREAT DNS ANALYSIS TOOL .